CARS.COM — Toyota announced today that it is committing to increasing both sales and availability of electrified vehicles as it plans for the future. 1. Increase sales of electrified vehicles to 5.5 million cars by around 2030, with the added stipulation that 1 million of those be zero-emissions models like battery-powered or fuel-cell-powered electric vehicles. Lexus, Toyota’s premium brand, is included in this goal. 2. Offer every Toyota and Lexus model with an available electrified version by around 2025. To achieve this, Toyota will no longer develop vehicles without an electrified version. The automaker will also increase the number of electrified versions of current models and develop new dedicated electrified models. 3. Increase the availability of zero-emissions vehicles by making at least 10 battery-electric vehicles available worldwide, starting with China in 2020. These models would then be introduced to other global markets, including the U.S. Toyota’s passenger and commercial fuel-cell vehicle lineup will also expand. 4. Expand the hybrid-electric and plug-in hybrid-electric vehicle lineup in the 2020s. Toyota hopes to achieve this by developing the current Toyota Hybrid System II, featured on the latest Prius models, to fit into more vehicles across the Toyota and Lexus lineup, and also developing new hybrid systems. To achieve these goals, Toyota has been working to develop solid-state batteries that aren’t as hindered by size, weight or cost as current technology. It has plans to commercialize this technology in the coming decade. Toyota and Panasonic are also beginning a feasibility study of the creation of a joint venture to develop automotive prismatic batteries, which allow for greater weight and space savings. 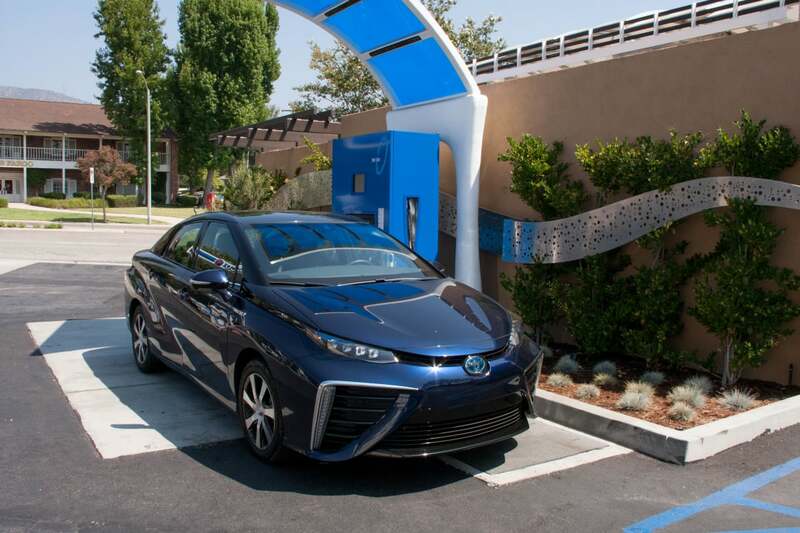 Toyota is also committing to improving the infrastructure surrounding electrified vehicles by finding better ways to reuse and recycle vehicle batteries, and increasing the availability of vehicle-charging and hydrogen-refueling stations. It will be exciting to see what this means in terms of specific vehicles available in the U.S. in the coming years, although both Toyota and Lexus [NB3]do offer a number of electrified models in various body styles already.